The lower end of sound is easily visible on the typical subwoofer, but the higher frequencies often go unnoticed. New technology has been developed to give the entire sound continuum a visual identity. 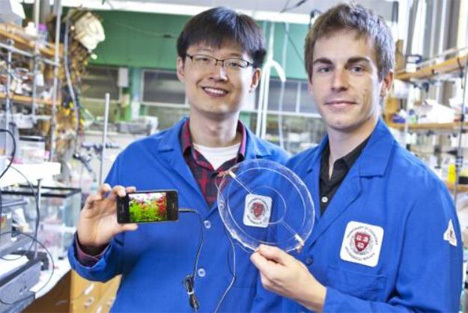 A team from Harvard University built a transparent speaker out of rubber and saltwater gel. 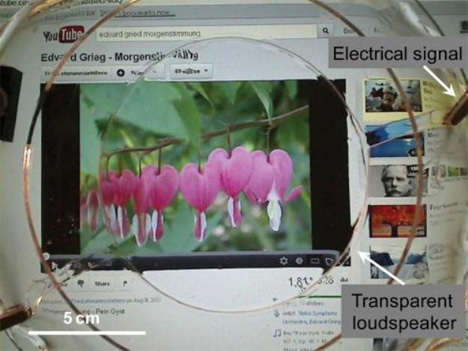 The sound bubble produces noise by changing thickness, morphing to cover the entire sound spectrum of 20Hz to 20 kHz. The membrane oscillates like a subwoofer from Stargate. The main idea behind the speaker is to demonstrate that ionic electrical charges can be used in high-voltage mechanisms, something previously done only by electrons. The team plans on working with companies that hope to make the speaker available to consumers. See more in Audio & TV or under Gadgets. September, 2013.